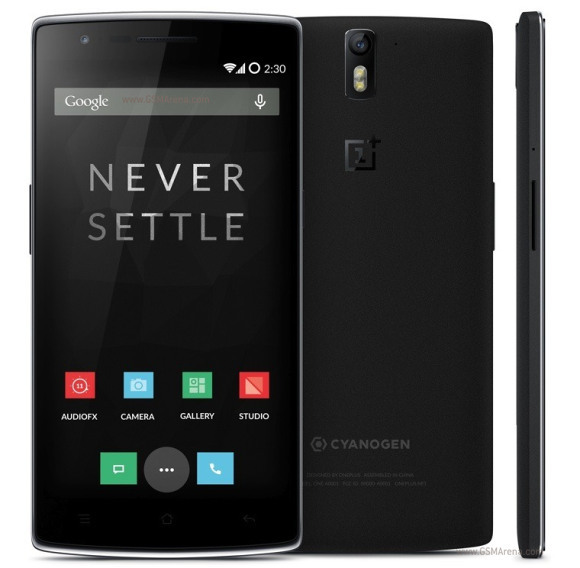 OnePlus One has really been generating a stir in the smartphone market the last couple of months. If you have been eyeballing the premium device, nicknamed "flagship killer", but have not been able to get your hands on an invite you might be in luck. For the next 72 hours only and with limited quantities all of the versions of the smartphone can be ordered freely! But don`t get too caught up in the Black Friday storm, because the device is still only available in select markets. Furthermore there is no actual price reduction, but that is more than justifiable given the overwhelming interest. The 16GB Silk one is priced at $299, while the more spacious 64GB Black version will set you back $349. This is definitely a premium, but do get very high-end hardware for that price. The OnePlus One is powered by a formidable Snapdragon 801 8974-AC chip at 2.5 GHz, with 3GB of RAM, a 5.5 inch LTPS display and runs CyanogenMod 11s. The Chinese manufacturer also promises, that any order placed in the next 3 days will arrive just in time for the holidays so be sure to check the source link if you want a new One. Why would anyone want to buy a phone with VERY poor cellular reception? Regardless of their strategy, it's frustrating for consumers when they want to buy their products but are unable to.